The Expert Consulting Solutions For Business & Individual Relocation Success! Together bridging the gap between the present and the new successful future. 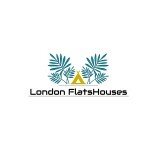 London FlatsHouses - Provides lifelong support with property consulting & acquisition solutions. Ruslan was very helpful and I am happy with the provided service.